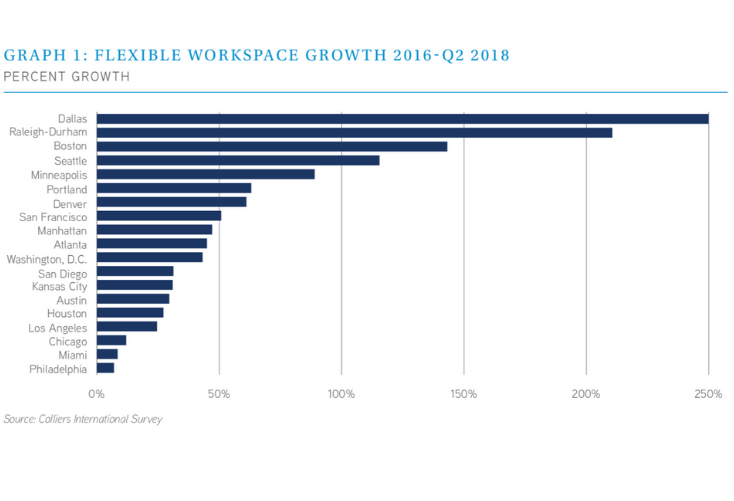 The new Flexible Workspace Outlook by Colliers International shows continued, albeit slower growth in coworking in the US and globally. 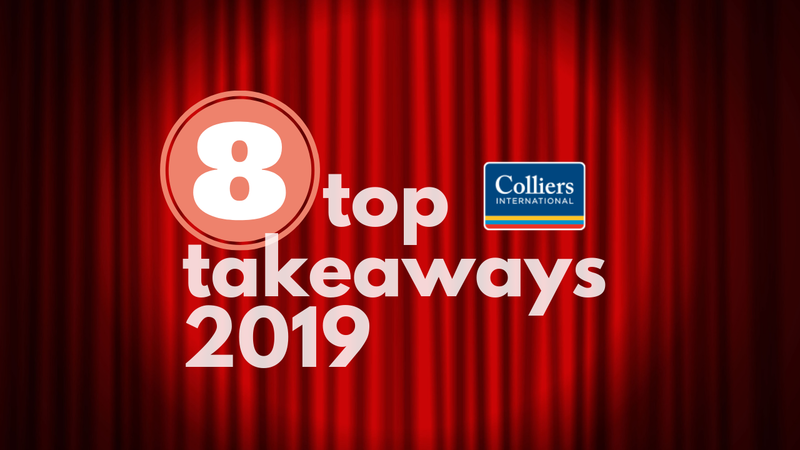 Top takeaways from the new US Flexible Workspace Outlook by Colliers International. 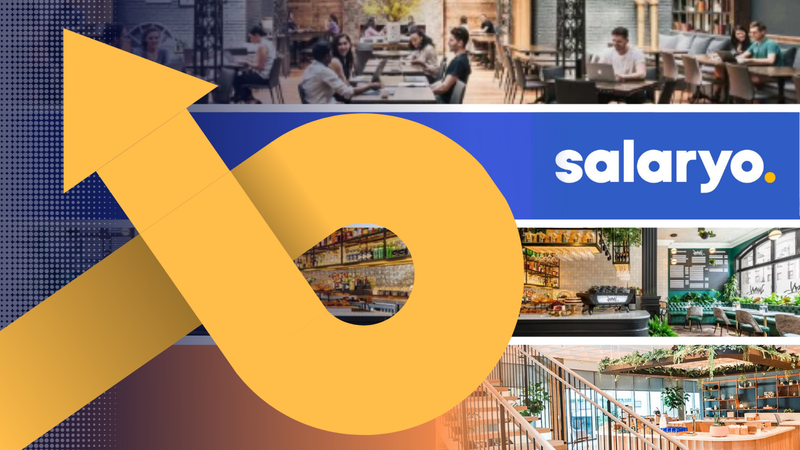 It charts continued, albeit slower growth in coworking, and identifies the biggest US operators and markets. Comparably, flexible space is still tiny, taking up just 1.6% of all office space across the US, which provides plenty more room for growth. Colliers International has released the latest edition of its US Flexible Workspace Outlook report, which highlights the current state and future trends of the flexible workspace market, and its impact on both occupiers and investors. All in all there aren’t too many surprises. The report found that growth in flexible workspace — in which it counts coworking alongside traditional business centers — continues to be strong globally, though the pace has been slowing as the market matures. 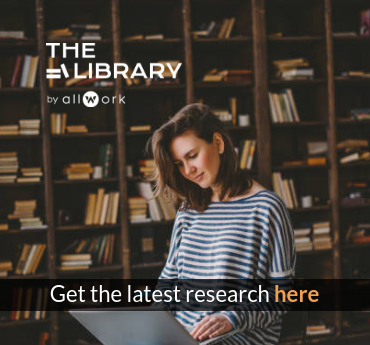 Correlating with other reports, the research finds that some flexible workspace providers are targeting larger corporations or “enterprise clients”, which is particularly prevalent among large providers such as Knotel and WeWork. The following 8 statistics from Colliers International demonstrate the current state of flexible workspace in the US, and how it’s likely to develop in the future. US coworking has grown 50% annually since 2010: The number of coworking spaces in the US soared from less than 300 in 2010 to more than 4,000 at the end of 2017, for a compound annual growth rate of almost 50%. Globally, it’s even higher: Growth outside the US has been faster, climbing from less than 200 spaces to more than 10,000 between 2010 and 2017, for an annual growth rate exceeding 80%. Growth is slowing as the market matures: The figures are still going up, but not as fast as they have been. Last year the number of coworking spaces rose 16% in the U.S. and 36% outside the US. Comparably, flexible space is still tiny: Despite constant year-on-year expansion, flexible workspace still makes up only a tiny portion of the office market. In 19 major US markets surveyed by Colliers in mid-2018, flexible workspace made up only 1.6% of all office space (27.2 million square feet). Dallas is doubling up: On a relative basis, Dallas tops the table for the highest percentage growth since 2016. Coworking has been growing fastest in Dallas and in Raleigh-Durham, both of which more than doubled their flexible workspace footprint from 2016 to mid-2018. At the other end of the table are Philadelphia and Miami, which are lagging behind in the growth stakes. Flexible workspace percentage growth from 2016 to Q2 2018, by city. Manhattan remains the largest US market by far: Manhattan accounts for more than 10.5 million sq ft of flexible space, almost 40% of the total US footprint. Since 2016, Manhattan has added the greatest amount of space, introducing more than 3.3 million square feet of coworking leases. This is 3.5 times more than Boston — the city with the next biggest inventory growth. The US market is highly concentrated: Colliers identified more than 140 different active coworking operators in the 19 markets they surveyed, spanning nearly 850 workspace facilities. 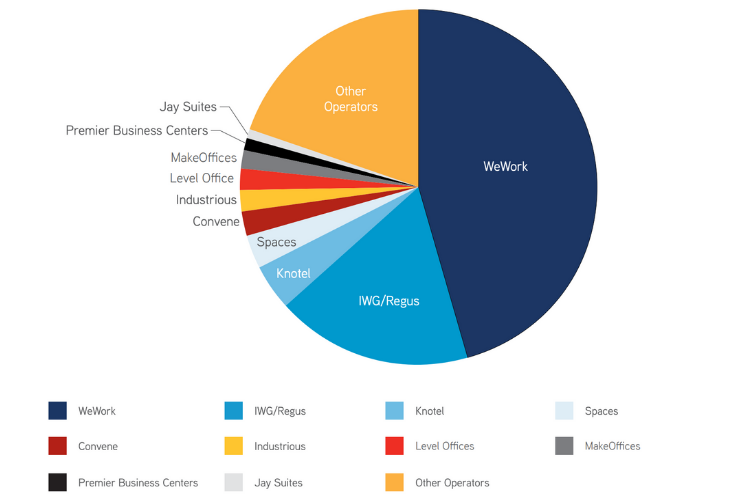 However, the top 10 operators account for 80% of the space; WeWork alone accounts for more than 45%. 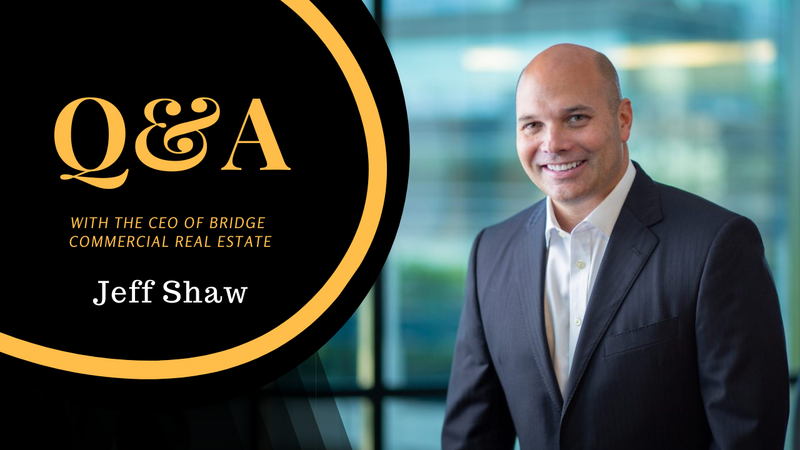 There’s a huge difference in square footage: The average space per facility is 39,000 square feet for the top 10 operators compared to just 17,000 for the other 130. Again, WeWork tops the table with an average size of 79,000 sq ft per facility, while every other operator averages of less than 40,000 sq ft per facility.